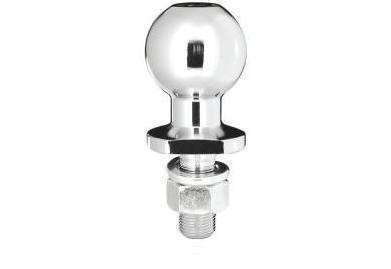 These high quality hitch balls feature a durable, attractive nickel chrome finish. All curt balls feature fine threads for superior holding strength and are tested to meet U.S. V-5 specifications. Note: Ball shown in picture may not be this exact model. This model will feature similar construction and appearance, but with the specs shown above.